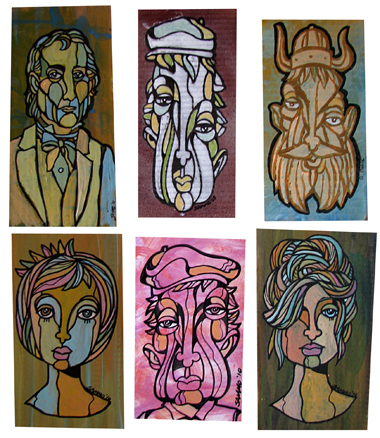 Here a few of my free art pieces bound for Vancouver, Canada. I was one of the lucky recipients of one of your pieces of art today at the "Free Art Vancouver" event at Creekside Park! Thank you, thank you! You are a very talented artist! I also got one of your pieces, the one on the bottom right! I love it, thanks so much!